The Schmid College of Science and Technology, in conjunction with the School of Law, organized Beyond Copenhagen, a three-day conference event at Chapman University. The conference focused on exploring the many potential challenges and opportunities in climate change including issues of the data and models, mitigation and adaptation and discussed what policy changes are needed to make viable and sustainable changes. 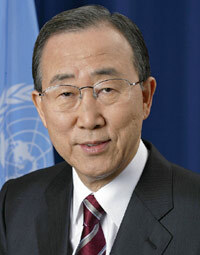 The conference also highlighted the specific impacts of climate change on human societies, policy, energy and international law, within four major societal sectors: food, energy, health, and finance, (the "Four F's" of Secretary General of the United Nations Ban Ki-moon: Food, Fuel, Flu, and Finance). The United Nations Framework Convention on Climate Change (COP 15), which took place in Copenhagen, Denmark in December 2009 was an attempt to determine how the world will proceed with the issues of climate change. This convention came at a critical time, and Chapman’s Beyond Copenhagen Conference spotlighted the major results from COP15 with in-depth discussions and speeches from experts in several fields. As we centered our attention on Beyond Copenhagen, we will also wanted to tie in any implications for us here in California. With 38 million residents and a $1.8 Trillion economy, California would be a member of the G-8 if it were a separate nation. California’s corporate and political institutions have been at the forefront of innovative environmental policies that promote green businesses. The decisions made during COP 15 have direct effects on the business and policy sectors within this state. As a leader in climate change response within the United States and across the globe, California must carry on and extend COP 15’s initiatives and continue to spearhead changes that will affect all corners of the globe. California leads the U.S. and the world in many initiatives promoting a clean environment while promoting economic growth. These two societal imperatives, often believed to be at odds with each other, have found a synergetic relationship in the great State of California. For example, carbon emissions per capita in California are less than half of the U.S. average. California was the first state in the nation to adopt greenhouse gas regulations, green building codes and efficiency standards for automobiles and appliances. Yet, California is also home to the most innovative and modern high tech firms in the world, leading growth and innovation which are imperative in a modern society. Situated in vibrant Orange in Southern California, Chapman is well situated to address the dual issues of economy and environment. What happened in Copenhagen has implications for the world. As in the past, what California does will be watched closely. Therefore, Chapman University deliberately timed the conference to occur shortly after the Copenhagen convention. This time frame allowed speakers an opportunity to review and reflect on the results of COP15 and begin reaching conclusions and ideas for solutions. This timing also meant that Beyond Copenhagen is attracted many prominent speakers, as it was one of the first scholarly conferences to address the 2009 convention. Our keynote speakers and panelists were asked to look at agreements made (and opportunities missed) at the convention and anticipate effects from policies initiated at the conference. In order to provoke thoughtful debate on these subjects, we invited individuals from several different backgrounds and with diverse opinions. The event kicked-off on April 21, 2010 at the Dodge College of Film and Media Arts in the Folino Theatre. This event infused environmental issues and the arts in an exciting film presentation by MacGillivray Freeman Films, The Living Sea, as well as provided a sneak peak at their new film, The Arctic. The events on April 22 and 23 included several keynote speakers and panel discussions of the four spotlighted human society areas — food, energy, health, and finance — as well as other presentations including a critical panel discussion of global warming. Engaging and varied discussions by experts in numerous fields showcased issues from health, energy, and agriculture in relation to global change. These discussions focused both on aspects of climate change that currently affect us, as well as those that we can expect to affect us in the future. The School of Law closed the conference on April 23, 2010 with events emphasizing the legal aspects of environmental policy. In addition, Schmid College held a panel discussion on energy. Throughout the day, various panel discussions took place, debating and deliberating climate change from a legal standpoint. These discussions were followed by a final reception in the lobby of Kennedy Hall. Steve Bray, CEO, Power Plus! Paul Chan, Ph.D., Chief Operating Officer, I.M. Systems Group, Inc.
Robert Goodland, Ph.D., Senior Fellow, World Resources Institute, Washington D.C.
Fotis C. Kafatos, Ph.D., Honorary President of the European Research Council, and Chair, Immunogenomics, Imperial College, London. Climate Science Primer: "Climate Change and its skeptics"
What is the scientific basis for climate change? What are greenhouse gases, and what role do they play in climate change? What evidence do we have that climate change is occurring, and what are the consequences of climate change? What are skeptics saying about climate change? What is the foundation of their skepticism? 7:00 p.m. - 7:10 p.m.
7:10 p.m. - 8:15 p.m.
8:15 p.m. - 8:45 p.m.
Speaker: Mr. Robert Sturtz - Fueling California: What Makes California Fuel Environment Different in Terms of Policy, Cost and Vulnerability? "I thank Chapman University's Schmid College of Science and Technology and School of Law, and all others involved, for drawing attention to the issue of climate change, one of the defining challenges of our era and one of my key priorities at the United Nations. Last December's Copenhagen conference was an essential step forward, even if it did not go as far as many would have hoped. Our challenge now is to move toward an ambitious agreement. Nature does not negotiate. Any further deferment of action will only jeopardize our ability to prevent runaway climate change and achieve the Millennium Development Goals. As Secretary-General, I thank you for your contribution to addressing this grave challenge."